We searched all over for you. Remember me? I met you sitting on the curb by Goodwill and got down beside you. We chatted for quite a while and it was easy to tell that life had thrown you some nasty curve balls in the last few months. My heart went out to you, but we felt so helpless. I even asked you, ‘what can I do, how can we help?’ It wasn’t money that you wanted and you said so, but we did go to a nearby restaurant together to get a bite to eat. The timing may have seemed off to some since we were super busy at home with a wedding coming up as well as BnB guests, but bringing you home with us was hardly the solution anyway because there are not many job opportunities in a rural area such as where we live. You said you wanted to come to church with us and would find a way, but we knew that would be easier said than done since so much had been stolen from you already, including your cell phone. So we came into town tonight, a week later, using the excuse of picking up groceries. You weren’t where we expected to find you nor at any of the other places where the homeless might be inclined to hang out and we drove around for a long time looking. We found another girl who was obviously troubled; her eyes red, face sad and we told each other maybe that was who God wanted us to come into town to comfort, but I wasn’t totally convinced. Where are you? Are you reaching up and holding to the Good Shepherd’s hand? Jesus is the Good Shepherd. Let Him hold your hand so it won’t slip. Remember He is always looking out for you even when you can’t feel Him. 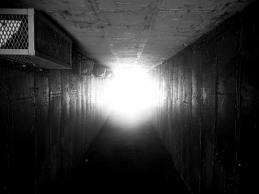 Learn to trust Him and surrender your all to Him and He will lead you down the tunnel where there is a light at the end. You, and you and you…are in my thoughts and prayers. Back in 1908, or so, (yes, that was before my time,) something happened that touched my heart. Someone did something awful, really, really awful and he killed another human being. He deserves to be condemned to death, right? But his attorney saw things differently. I think he must have visited with this prisoner many times, and became convinced the man deeply regretted what he had done. Most likely the guilty man didn’t give a whole list of excuses why he committed that horrendous act. He knew he was a sinner, and his advocate knew that he knew so he pled his cause. In those days the man probably didn’t have a hope or not being hung from a tree or whatever means of punishment they used in his area, so it came to him as a surprise when the verdict was changed to a life sentence. There were tears of gratitude in his eyes when he was led away. I wish I could fill in the names of the key characters, my written source had not included them, but let’s put our own names into the blank. We have been condemned to die, we are guilty. Our sin separates as from God. We can offer a multitude of excuses why we are like we are, but they won’t get us anywhere, certainly not to Heaven. An advocate came, and plead our cause. Perhaps it was because of His deep sacrificial love-I’m talking about Jesus now- we began to feel remorse then repentant. 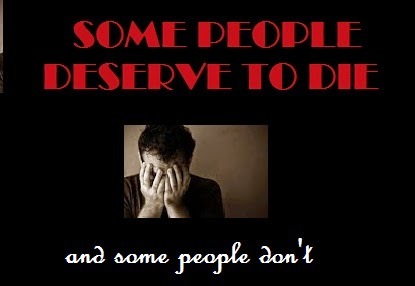 Yes, we admit, we deserve to die, but we are sorry, very sorry. The death sentence is lifted. Do we run away scot free? Do we want to? Not if we truly realize what Jesus saved us from. In gratitude we will offer to be bond slaves to Jesus. It’s a whole lot easier than to be imprisoned by guilt and sin. It’s a whole lot easier in another way also. There is warmth and joy in such close fellowship.